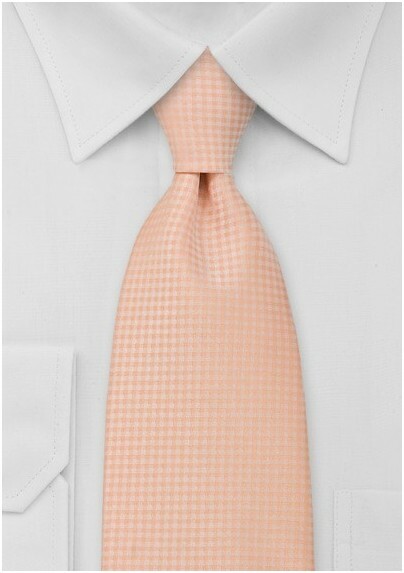 Introduce a splash of color to your wardrobe with this fresh and fun gingham patterned tie in soft shades of sorbet peaches. The monochromatic color palette is a cinch to mix and match and pairs handsomely with both casual and professional attire. This handwoven menswear accessory is crafted from a grade A microfiber that is resistant to stains and wrinkles. 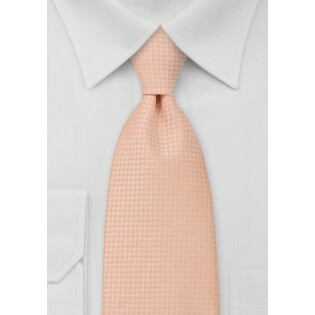 We suggest pairing this tie with a white dress shirt and tan suit with a coordinating pocket square.